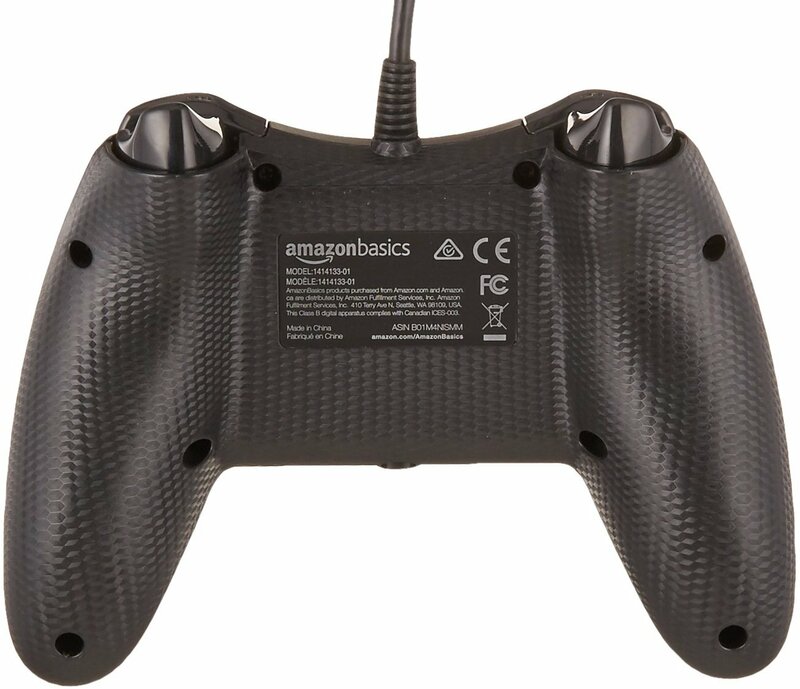 Did you know Amazon makes game controllers now? I didn’t either until I was in need of a new Xbox One controller and an AmazonBasics one appeared at the top of the list. Priced at just $25 and with solid user reviews, I took a chance and bought one. After using it for a while, I have to say I’m pretty impressed. It feels good in the hand and works well but I think the most important thing is that there wasn’t any transition period or “I gotta get used to this” feeling like with most third party controllers. It was immediately comfortable and felt like any other Xbox One controller I’ve ever used. There are a couple of downsides – it’s wired and the longterm reliability is questionable – but as of now I’m tempted to call it the best third-party pad I’ve ever used. Continue reading for more details. The AmazonBasics Xbox One Controller comes in white or black and costs just $25. It is wired, which is a bit of a nuisance and might be a deal breaker for some folks, but the 9.8’ breakaway cable is nice and long. Being wired obviously helps cut down the cost versus being wireless, so you can’t really complain. Also cutting down the cost is that it is just a simple standard straightforward controller with no additional gimmicks like most third-party pads try to shoehorn in. It doesn’t light up. There aren’t fans in the grips to dry your sweaty palms. It doesn’t have “Turbo” buttons. It’s just a standard wired Xbox One controller with no bells and whistles. For $25 that’s totally fine. A big issue with most third-party pads is that they never feel as good as an official first-party pad. They’re always shaped weird or have bad feeling buttons and always have a transition period where you try to get used to them. I didn’t have that problem with the AmazonBasics Xbox One pad. It isn’t exactly the same shape as an official pad – the grips are slightly longer, the window and menu buttons are in a slightly different place, and the back is thinner (since it doesn’t need space for batteries) – but all of the important bits like the sticks and face buttons all feel and function almost exactly like a first-party pad. The face buttons feel the same. The sticks feel the same. The only things that actually do feel a little different are the bumper and trigger buttons. The bumpers are really clicky sounding and feel kind of flimsy and the triggers don’t work quite as smoothly as on a first-party pad. With that said, I got used to them pretty much immediately and don’t have any complaints about their performance so far. I tried out a wide range of games with the controller and noted no differences in my performance with any of them. I played shooters and sports and action games and a bunch of other genres and it performed well in all of them. I also played a lot of Dark Souls 2 specifically to test how the bumper buttons hold up and they seem fine, though it has only been a week. I also played Forza specifically to test the haptic feedback in the triggers and can report that it is nice and strong and feels just like a MS pad. The rumble overall is nice and strong here, which is another thing most third-party pads skimp out on. My only real concern about the AmazonBasics Xbox One controller is that the reliability may be an issue. There are a lot of user reviews posted lately on Amazon stating that their controller started having problems after a few days. Specifically people have complained about the buttons not working and the 3.5mm headset jack (which I didn’t test at all, sorry) dying. The good news is that it comes with a 1-year warranty and, since it’s Amazon, will almost certainly be easy to get a refund / replacement if it does die on you without too much hassle. As I said, I haven’t had any issues so far, but I will update this review – and change the score if need be – if I do run into any problems. 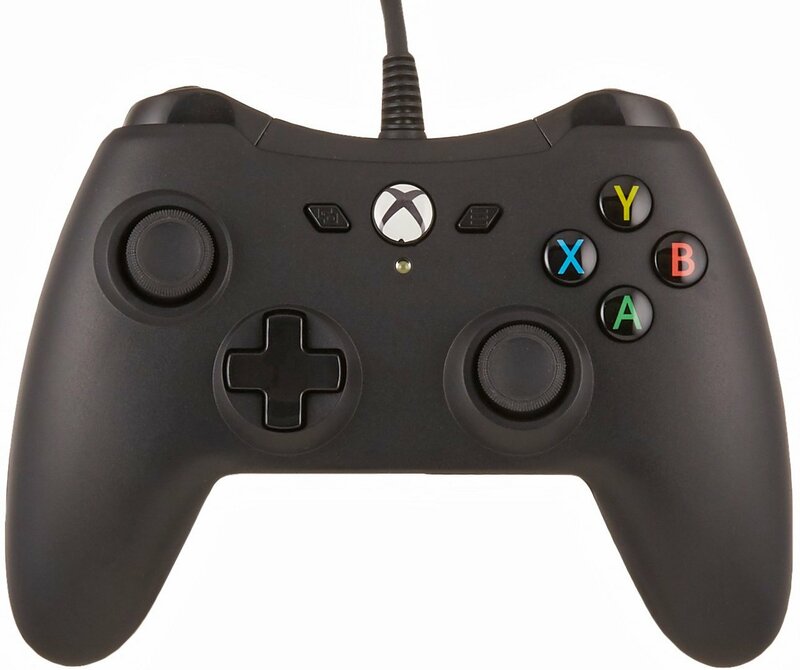 All in all, I’ve been pretty impressed with this Xbox One controller from AmazonBasics. It feels good, functions well, and really knocks it out of the park at the $25 price tag. It remains to be seen how well it holds up – and I do seem to wear out Xbox One controllers faster than most people -, but I’m happy with it so far. I’ve used a lot of third-party pads over the years (I reviewed a ton of them for About.com back in the day) and can easily say this AmazonBasics pad is right up there with the very best. The bar isn’t exactly high for third-party pads, I know, but this one really seems different. And it’s brilliantly priced at just $25 so you can’t really go wrong.